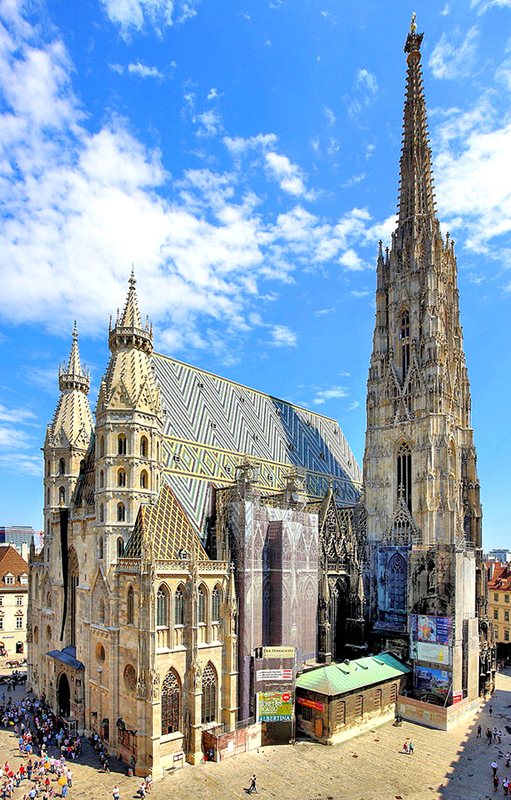 Vienna with its imperial sights, Baroque architecture, St. Stephen's Cathedral (pictured, right) and Schonbrunn Palace. Melk with its magnificent scenery, Benedictine Abbey, and Danube River. Mariazell, known for its spectacular beauty, the Shrine of Mariazel is dedicated to the Blessed Mother. Salzburg to visit the Shrine of Maria containing the miraculous painting of the "Virgin and Child," Mozart's birth place, St. Peter's Abbey, and "Sound of Music" scenes. Innsbruck with its breathtaking landscapes, St. Jakob's Cathedral, Annesaule "St. Ann's Column." Oberammergau known for the famous Passion Play of Christ's Life. Wieskirche known for majestic castles, Wagner's operas, and impressive view of the Alps. Lucerne, gateway to Switzerland, containing architectural gems and the Shrine of Einsiedeln that houses the well-known "Black Madonna." We will depart on May 10 and return May 19. This once-in-a-lifetime journey Includes round-trip airfare from New York's JFK International Airport; first-class hotels; travel in a private air-conditioned motor coach; an English-speaking tour guide; breakfast and dinner daily - including a "Special Farewell Dinner" - and much more! If you're interested in more details, or a full-color brochure with more information, please call us at (716) 828-9648. Space is limited! To guarantee your spot on the Pilgrimage please send us your deposit of $350.00 no later than February 8th.